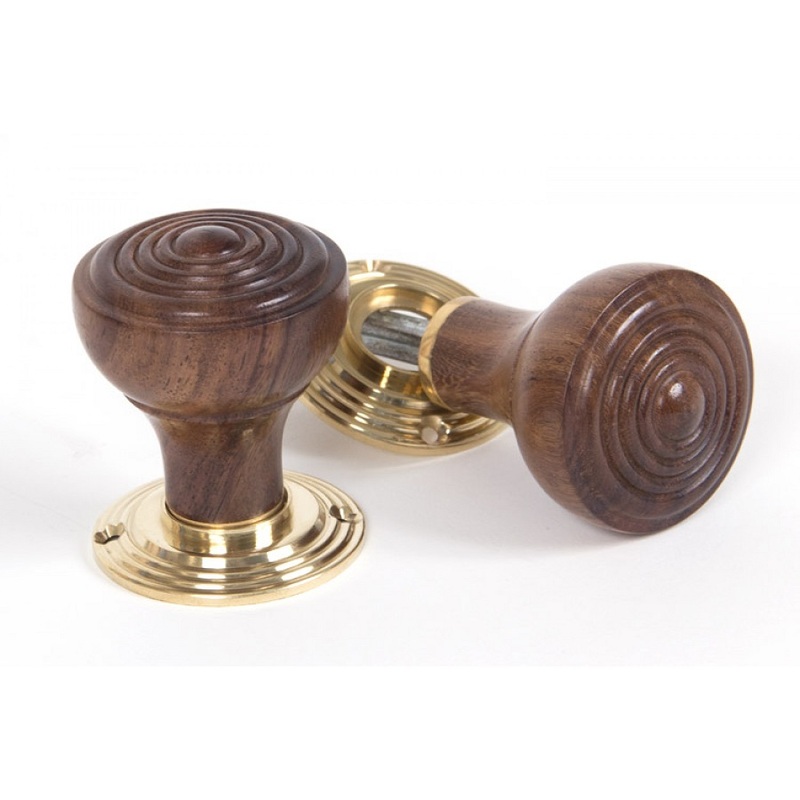 An attractive, dark veined, richly hued rosewood ringed knob set. 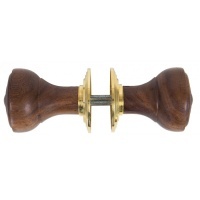 Comes complete with two rosewood knobs with detachable brass rose, threaded spindle (120mm) and brass fixing screws. I ordered 4 sets of the Rosewood Ringed Mortice knobs and was so impressed with the quality of the product. Shipping was free and it was delivered by DPD within 2 days. Each set was packaged carefully and the door knobs are so beautiful in real life. I have yet to attach these to my davenport rim locks, but I believe they are going to finish it off nicely. They come with 2 sets of attachments suitable for both spindle rim locks and mortice locks in-built to the door. Thank you very much for the review and we are glad that you are pleased with your Rosewood knobs.